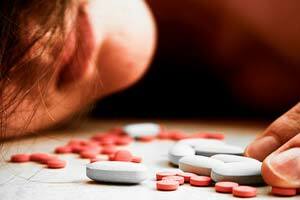 Addiction holds its position in our life through misconceptions, fallacies and illusions. To quit any addiction, you have to strip away the misconceptions, fallacies and illusions and see truth. To break misconceptions, fallacies and illusions draw up a list and look seriously at what you consider the benefits of the habit. I’ve been drinking juice in the mornings only for 4 1/2 days and water the rest. I cheated this after noon just a little. I ate a small bowl noodles and veggies about 1 1/2 Cups all together. I wouldn’t have done that if I know it would ruin my results and cause me to have to start completely over, however, I want to know if it is good just to continue or if I stymied my cleanse. I wasn’t starving anymore I just wanted those veggies so bad!!!! Eating a small amount of veggies will not ruin a fast it will just reduce the cleansing. No harm done. Continuing my last entry, I’m not actually addicted to a drug. I just happened to be on this page. I’ve also been running 2.4 miles a day. I’m 5’4″ at about 115 so I don’t weigh much. Will my results be faster because I’m not large and the lack of calories since I only drink about 1 1/2 cups of apple juice a day? I have some injuries that are already healing. My bunion pain has gone away even though I’m running and wearing heals. My achelies tendons don’t bother me anymore and my arches don’t hurt either. Aren’t these the results of someone who has been on a long juice fast? Not someone who finished a 4 1/2 day fast. Can a body not get a full clease even by cheating lightly once a week on something healthy on a 20 to 30 day cleanse? I don’t know how that works. Very few people get the rapid healing you are experiencing. So be thankful as those results are usually after 10 to 20 days of fasting. Yes you could eat once a week on a 20 to 30 day cleanse. It will slow the detox but with your body’s rapid healing response, that will not be a factor.